The stem is a subtool, and man, are subtools hard to position and switch between! 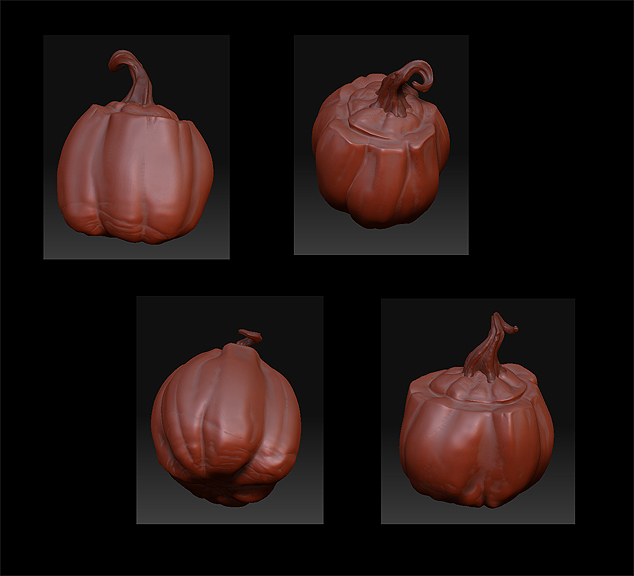 The pumpkin body is already getting up there in poly count...not sure how much I'll be able to mangle it with facial features before my compy starts billowing smoke. Really, I'll only know I'm getting the hang of this program once I'm capable of making something that isn't a lumpy, organic blob. You should finish this up and post it for the contest going on at zbrush central. This has a lot of style to it! protip: The redwax shader is for noobz.